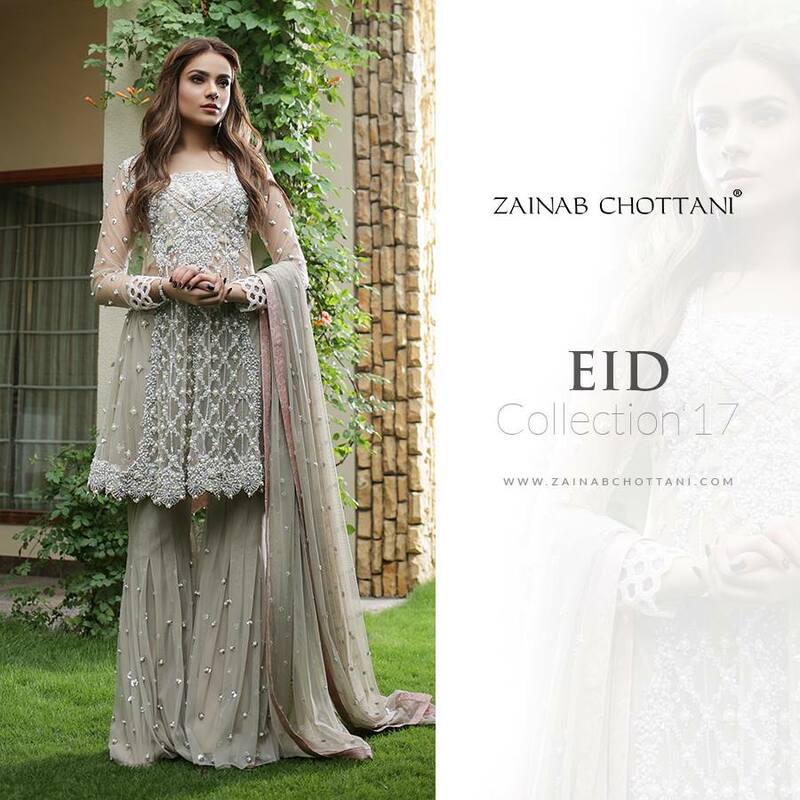 Zainab Chottani is a Growing name in Pakistan Fashion Industry. She’s a very talented and Promotes fashion with the Deliberate changes in style of Wearing. The brand is very famous and it moves from the Country and works in UK and Doha as well. 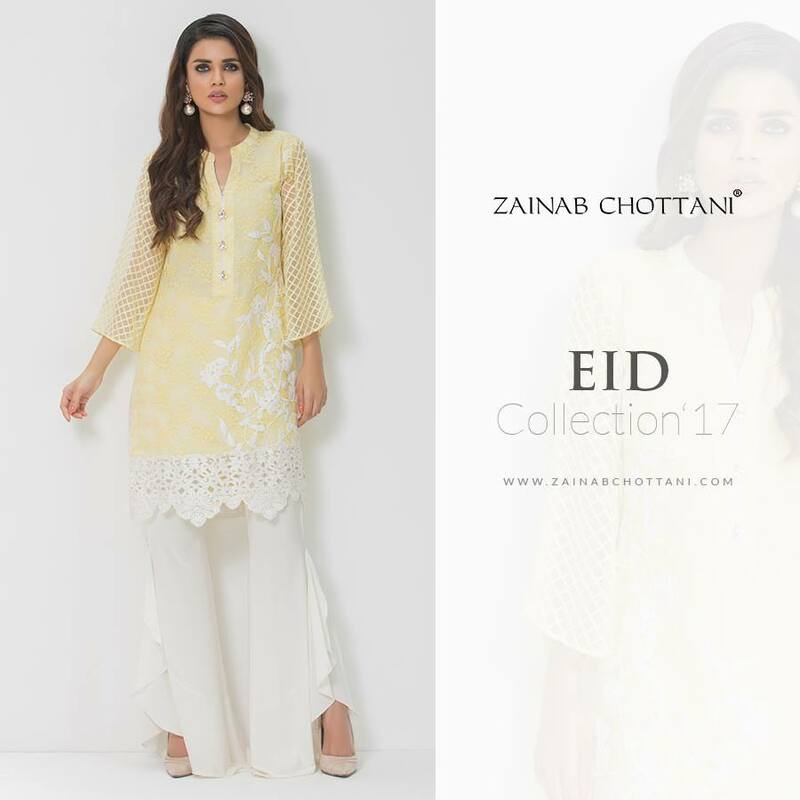 The Zainab Chottani Eid collection 2017 has come with very Beautiful Prints. The dresses are Very Beautiful and comfortable because of its light and unique color combination. 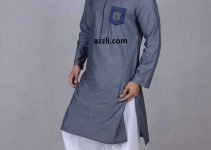 It can easily wear on any occasion or any Event like Eid. Thr Dress is Light Beige which is Beautifully Embellished with pearls and silver. It is improved by pink Pearls Which slightly took the attention and Enhance the look. The dress completely looks innocent with the Beige dupatta which has Pearl spray all over on it. 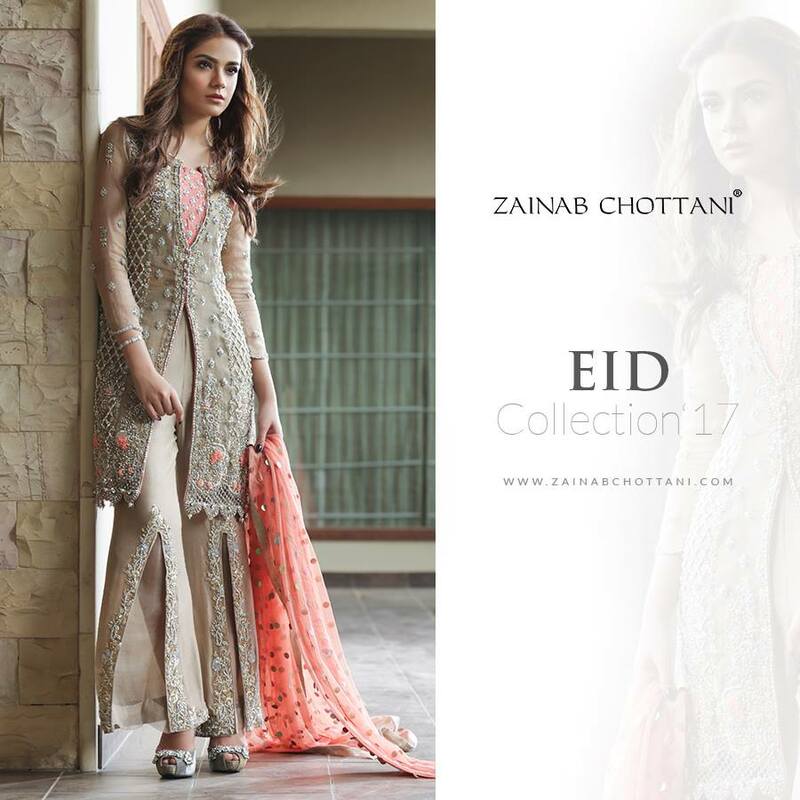 For an Eid Wear the Pacific opale with Dropping crystal and Embellished With pearl and silver look very gorgeous. 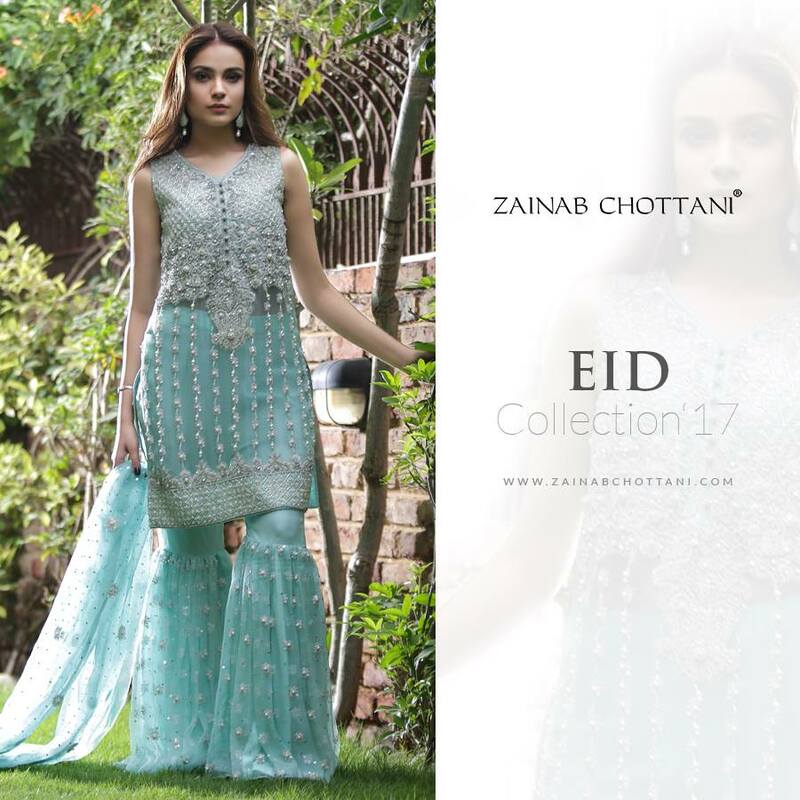 The Gharara pant is a most eye-catching thing in this dress the ghagra is decorated with the silver motifs which enhance the dress very beautifully. 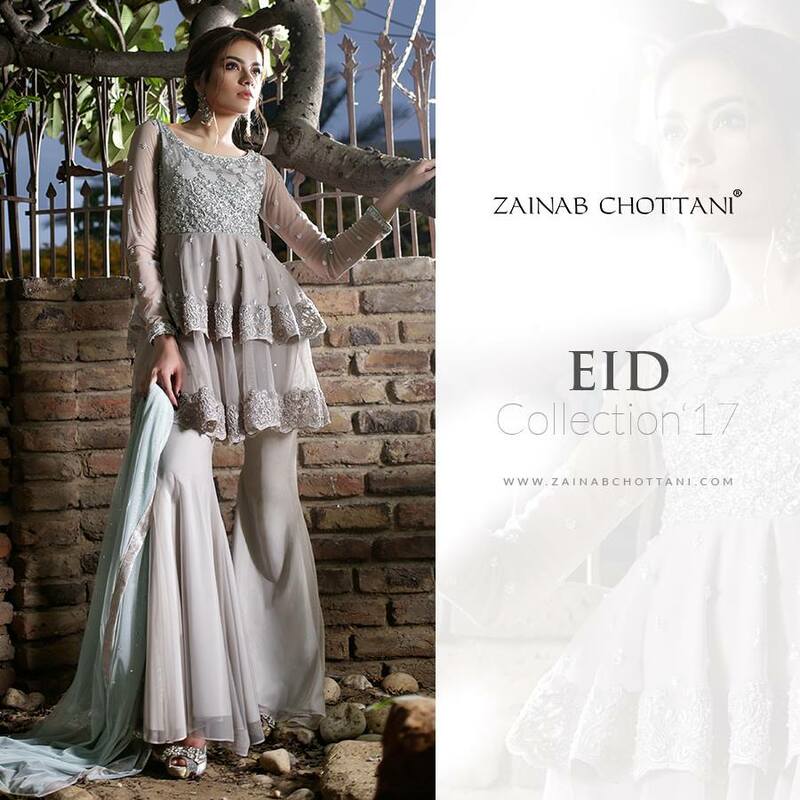 For an Evening Eid Wear this Enchant in Black Dress is Perfect for Wear. The Charming 3d Floral Embroidery on neck line look Elegance in Wear. The Dress is completely Perfect for any Night Occasion.